I think bracelets are such an easy way to accessorize an outfit, and whilst out shopping, I couldn't resist buying a few more from H+M. 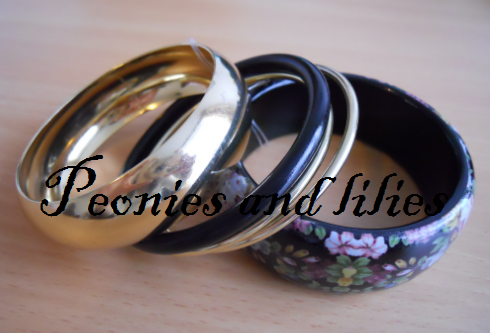 How pretty is the floral bangle? The whole set cost £5.99 and it comes in 2 different sizes, which is good for me as they're usually too big and fall off. These bracelets are made from fabric so are super comfy to wear, plus they're only £1.99 each so I got all 3 colours. I need them fabric bracelets! !